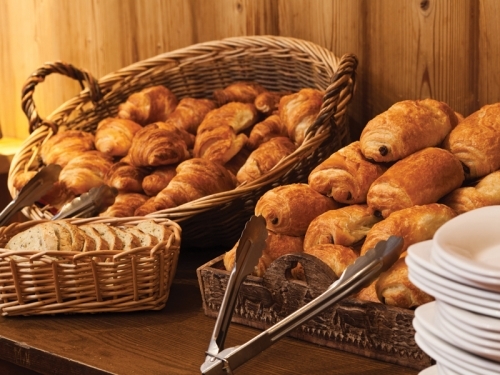 What’s The Skilt Clubhotel like? 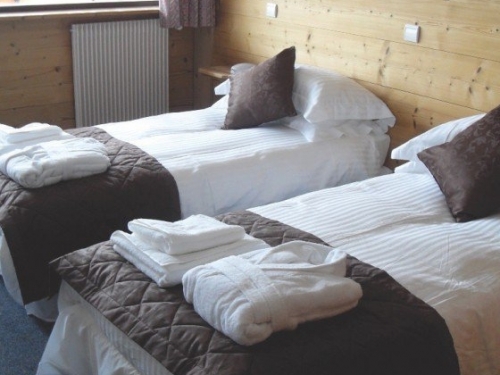 We know there are certain criteria you want ticked for your ski holiday which is why with the Clubhotel Skilt we’ve taken the liberty of ticking all those for you! 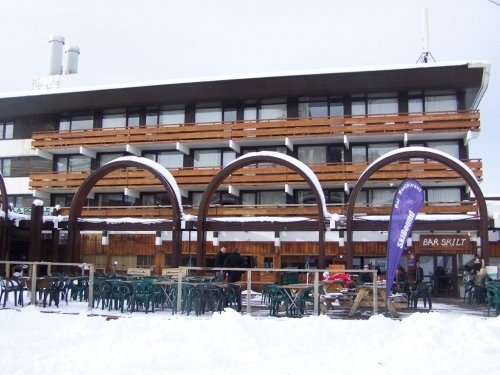 Its outstanding proximity close to the slopes, shops and bars makes the Skilt a favorite with all of our returning guests. The Skilt has 37 rooms with many featuring balconies overlooking La Croisette. While you’ll soon cosy into bed following a day on the slopes, you can practically roll out and onto the slopes via the public terrace extending from the Skilt bar. Thanks to the Clubhotel’s Wi-Fi, you’ll be able to tweet your snow angels to your heart’s content. Adjacent to the Skilt bar, the large restaurant area provides the perfect setting for breakfast and dinner with views out to the slopes. A buffet breakfast offers various options while the evening meals are carefully crafted by our in-house, highly trained kitchen team. 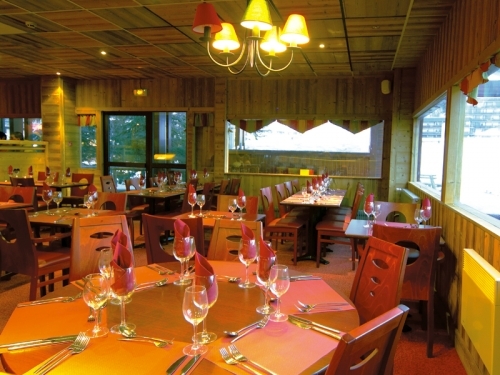 basic hotel, but run by a cracking team and in an unbeatable position in Les Menuires. Arranged over 3 floors, rooms predominantly consist of 2-4 beds offering plenty of storage space and en-suite bathroom facilities. 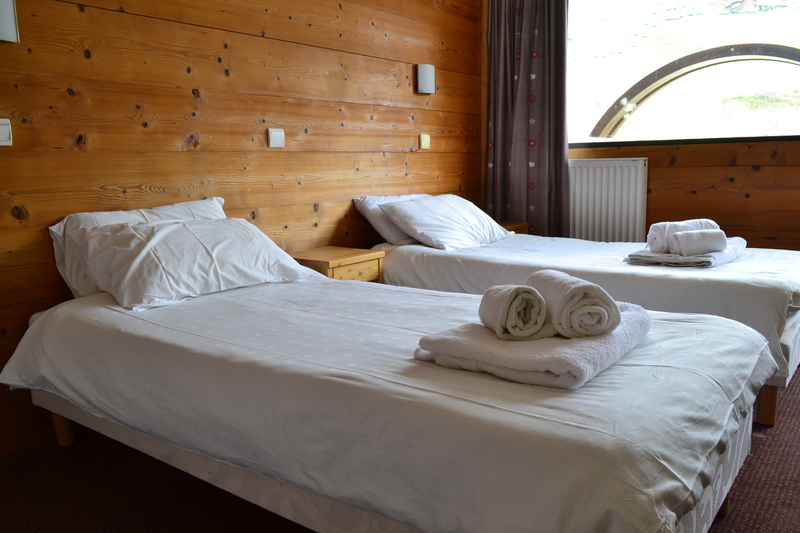 With outstanding views across either La Croisette or the valley, you’ll likely wake before your alarms as the mountains call out! You cannot beat our Clubhotel Skilt for location! 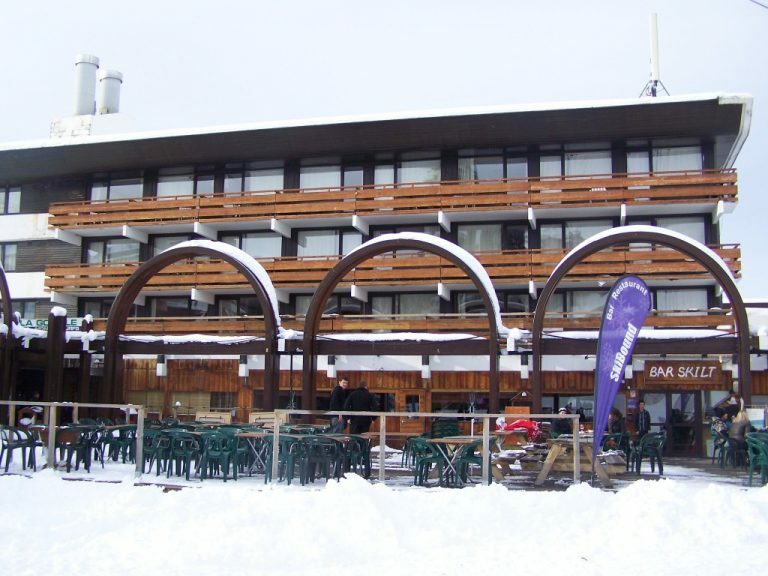 Set in the heart of Les Menuires at the foot of La Croisette, the Clubhotel Skilt provides you with the opportunity to be the first on the slopes and the ski school on your doorstep. Tired after a long day of skiing? 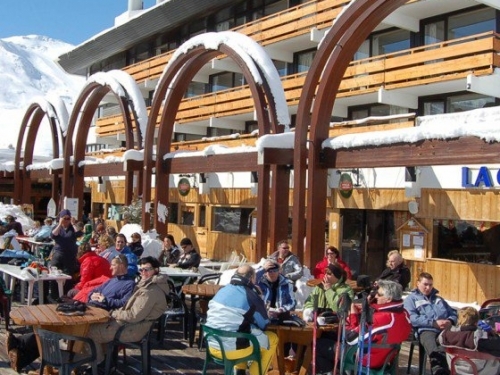 No problem with the Skilt bar and public terrace ready to welcome you at the bottom of the slope. Or take to the first floor to the roof terrace to catch the last of the sun before it dips behind the mountain peaks. Keep enough momentum down the home straight and you’ll practically ski to your seat where that cool drink will be there waiting. Where can I get skis hire and lift passes? 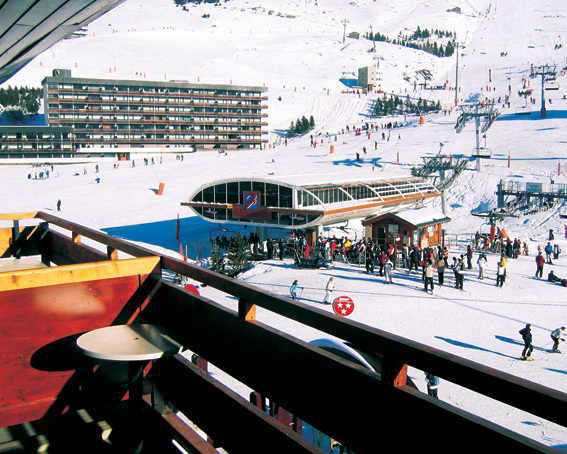 The SkiBound Holidays team will be waiting at the airport and direct you to your transfer to Les Menuires. 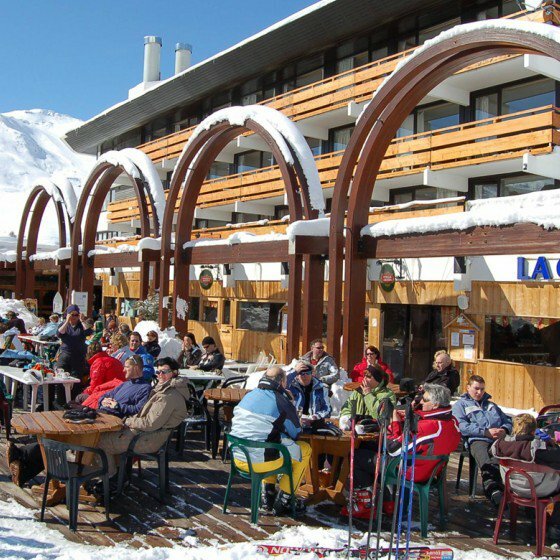 During the journey or on arrival, you will have an opportunity to arrange lift passes and ski hire with your representative. 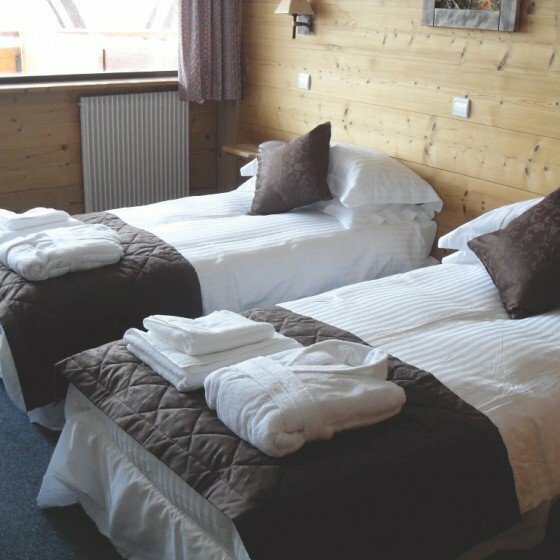 For your convenience, we will have these delivered to the Clubhotel Skilt allowing you to maximise your time on the slopes. The Clubhotel Skilt has in-house ski fit facilities where our SkiBound technicians will be on-hand to provide the latest in Salomon equipment. Should you require any additional equipment, including snowboard rental, the SkiBound team will be available to meet your needs. 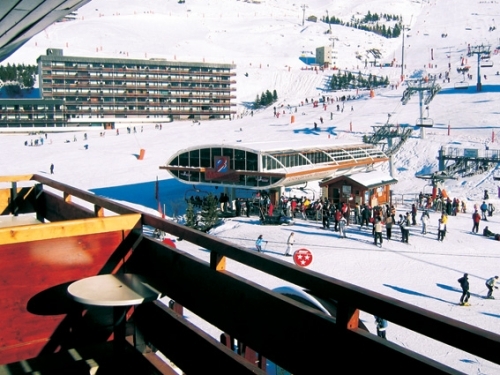 Acting as a gateway to the Three Valleys, confident skiers can make their way over to Courcheval, Meribel, and Val Thorens with the Three Valley lift pass. Great snow, varied runs, and the famous Folie Douce makes Les Menuires a popular choice with both the seasoned skier and newbies. Learn more about Les Menuires.